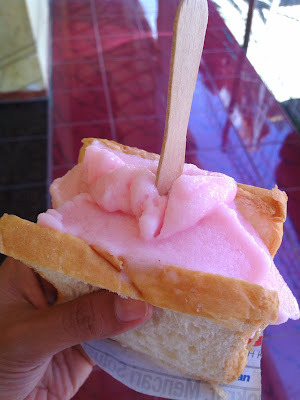 Es Puter (Spinning Ice) is an Indonesian traditional ice cream. Spinning is taken from the way this dessert is made. It has a distinctive savory flavor because using coconut milk instead of regular milk. Classic Es Puter is usually presented in the middle of the white bread and sold door to door.